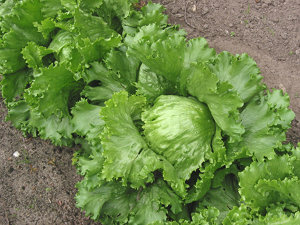 Let's start off with the idea that iceberg is the slacker of the lettuce kingdom. By most standard measures of nutrition, romaine and other types of leafy greens come out ahead of iceberg, but the disparity is at its greatest if you make the mistake of measuring by weight. A far more insightful measure is by calories. When we eat, the nutrient density of every calorie is of great importance, which is why smart eaters stick to a diet of raw fruits and vegetables. I've listed a few measures of nutrition by both weight and calories below to help you get a better perspective. When we compare by nutrients per calorie, as shown in the second table, we see that iceberg, while lower by most measures, is still in the ballpark. It's hardly the lost cause it's been made out to be. Iceberg actually leads in two areas: water and sodium. The reason it appears so much lower when we compare by mass is that it's rich in water, meaning that it's lower in calories and there's less room for other nutrients. This has lead to it being deemed as worthless, but that's hardly the case. Water is a key nutrient, and one of the reasons a raw food diet works so well. Virtually every bodily function is dependent upon water. Our need for it is so great that losing just one percent of total body weight is considered mild dehydration. At just 5 percent water loss the medical community considers our lives to be at risk. This is a big plus in iceberg's favor. Sodium is one of the key minerals responsible for the osmotic pressure that allows the movement of fluids and nutrients through our cells' semipermeable membranes. This is how the body mantains electrolyte balance. When cellular metabolic waste (which happens to be disolved in water - fancy that) is carried out of the cell, its makes the ride hitched to sodium. Think about the statements I've made above. All of them are factually true, and you can double check by reading any college-level study of the subject, yet I wouldn't suggest you make a single change to your diet because of their validity. It's possible to over hydrate, and people have died from drinking too much water. Sodium is an equally tricky issue. Too much or too little of it can screw up osmotic pressure. If you decide that more is better, you might try adding table salt to your diet, but we all know that's a proven path to ill health. What we have to recognize is that nutrition is never meaningful in isolation. It is only when we consider a food's complete nutrient package that the discussion takes on any real meaning. Go out and take a look at several dozen fruits and vegetables and compare them by nutrients. You'll see that some are extremely rich in one area while being weak in others. Fruits, as a general rule, rank highest among all other foods in terms of vitamins; vegetables take the crown for minerals. Cut out either and we would be lacking. But I think there is an even more pressing reason not to rule out any otherwise-healthy food just because you're not satisfied with its nutrient count: Depending on which expert you ask, between 60 and 90 percent of all nutrients have yet to be discovered, meaning that if you skip the iceberg, you have no idea what you're missing out on. In addition, scientists have only the vaguest idea of how nutrients even work in the body. When they find promising disease-fighting nutrients in food and extract them for use in isolation, they almost inevitably fail to produce the same effect. It's how the contents of a food work together that's important, and we simply lack enough information to be ruling out otherwise-healthy food. So forget about scores and eat a few heads of crunchy iceberg tonight. Tomorrow? Go for bok choy. Follow up with a bunch of spinach on the weekend, and some romaine on Monday. The only thing that matters is that you eat as wide a variety of leafy green vegetables as possible. The nutrition will take care of itself. 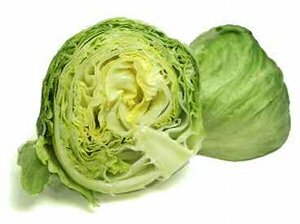 Find out how iceberg lettuce nutrition plays into the rest of our dietary needs. 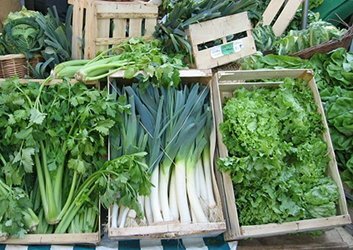 Read why leafy green vegetables should be a significant part of your diet.